Product code: ES6230 Categories: Sold Items, Sold Jewellery. 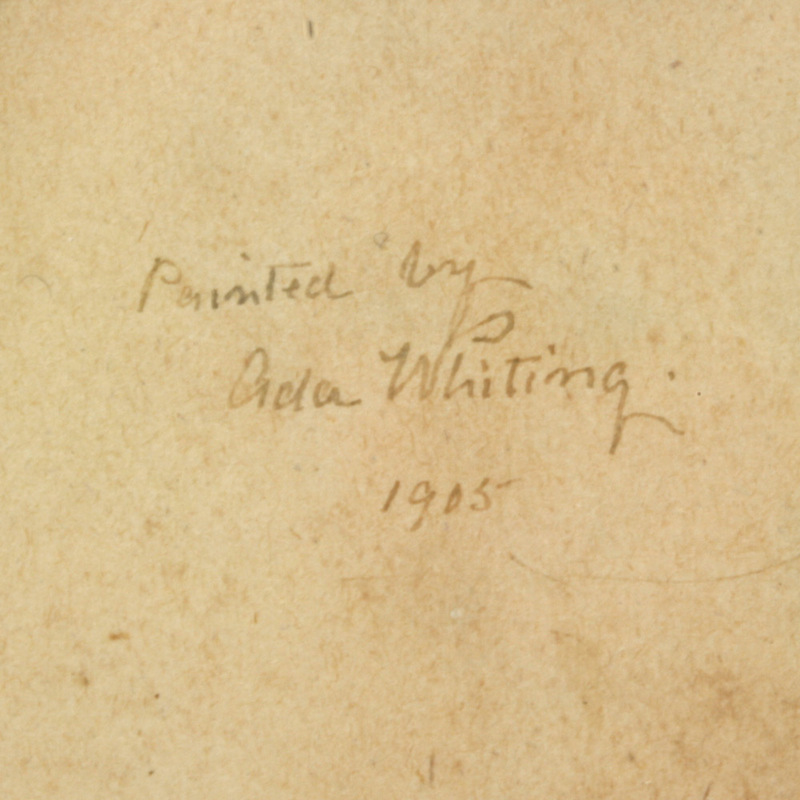 Ada Whiting was born in Tasmania in 1859 and became famous for painting exquisite miniature portraits for such people as Dame Nellie Melba and other prominent people. She painted right up into the 90's with a style that is characterised by soft hand work able to bring out the finest details of a persons face and details such as lace or jewellery. 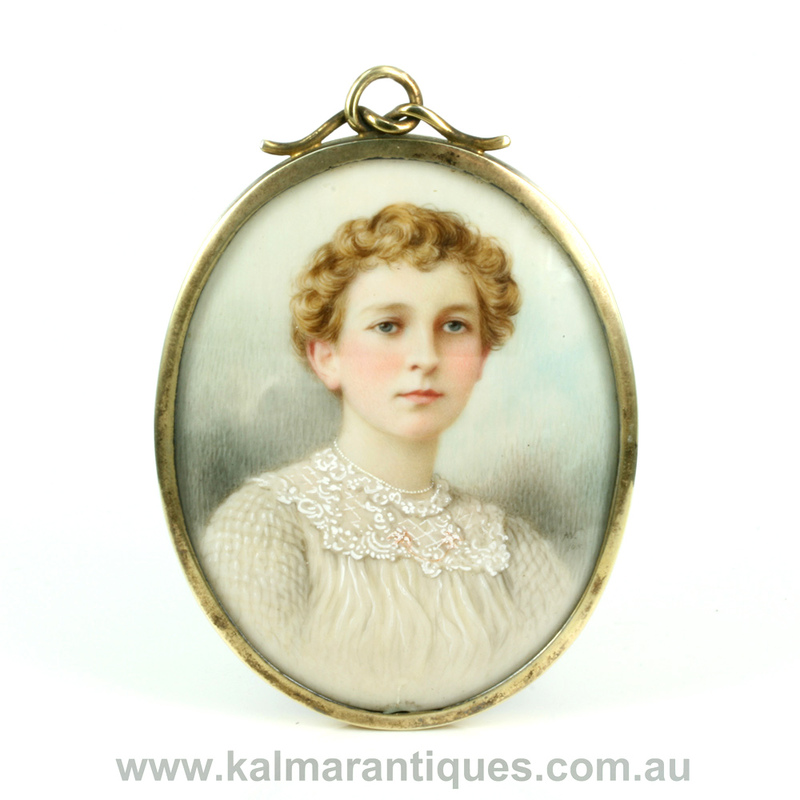 And here is a very attractive miniature painted by her in 1905 and retailed by the Australian jewellery company Hardy Bros. Painted on ivory, the painting is of a graceful young lady wearing a gorgeous outfit of the era. It is so easy to get lost in her eyes and it is incredible the detail that Ada Whiting was able to achieve considering that she was mostly self taught. 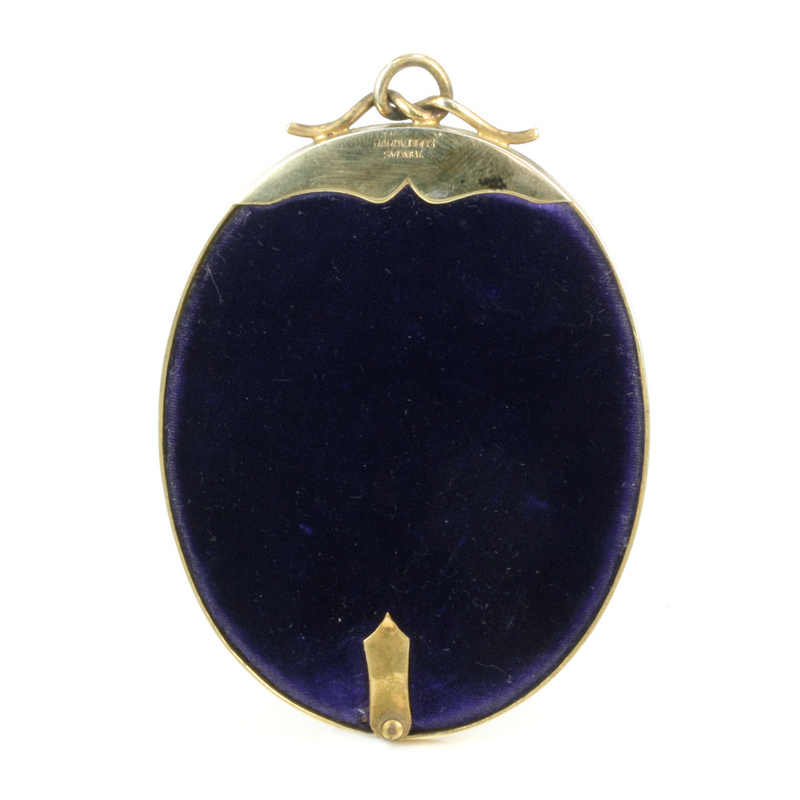 The delightful frame that it is fitted into measures 6.2cm wide by 8cm or 8.9 to the top with the work at the top. 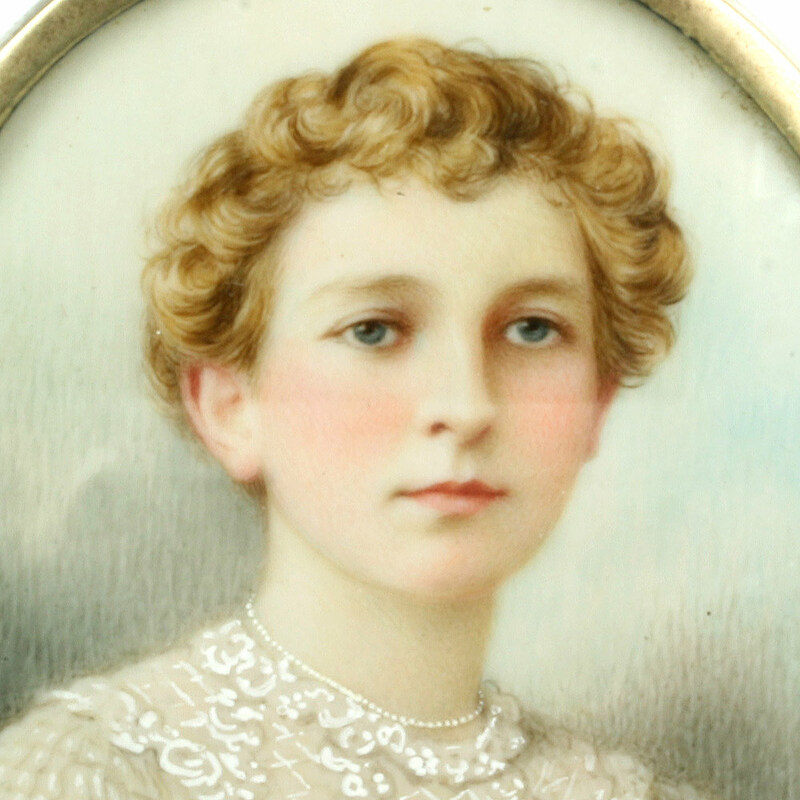 With a truly captivating portrait, this antique miniature is just so charming and sweet. Antique hand painted miniature by Ada Whiting. Ada Whiting was born in Tasmania in 1859 and became famous for painting exquisite miniature portraits for such people as Dame Nellie Melba and other prominent people.